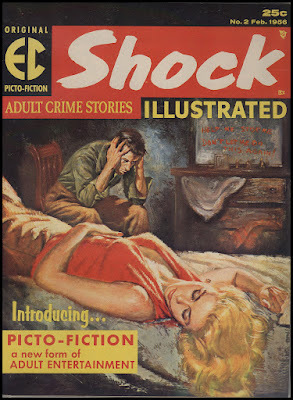 Shock Illustrated was part of EC's short-lived "Picto-Fiction" line. 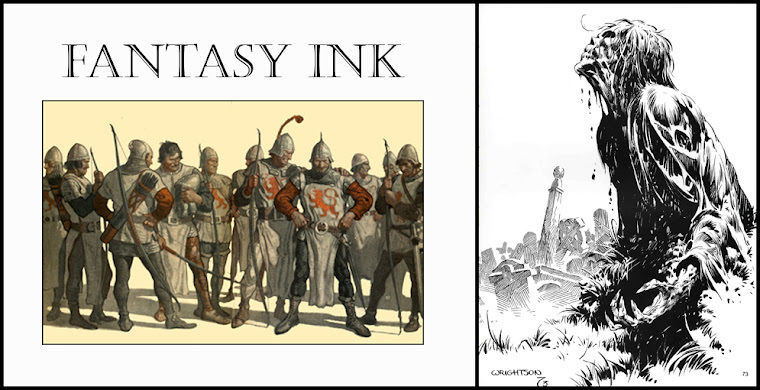 The third issue was printed but publisher William Gaines could not afford to have them bound. The publisher bound 100 to 200 copies of that issue and they were given away or sold to fans who ordered the issue. It remains a holy grail for many EC collectors. Shock Illustrated #1, Sep-Oct 1955. 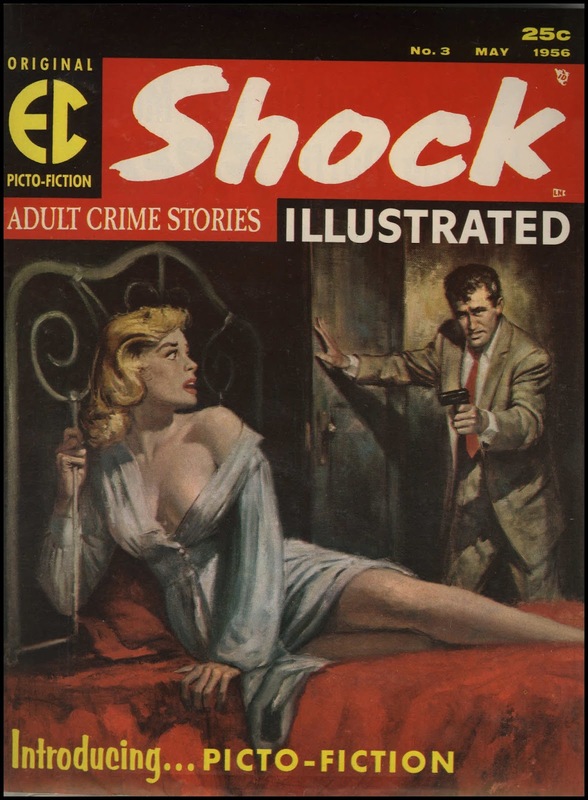 Cover art by Jack Kamen. Shock Illustrated #2, Winter 1955, Cover art by Rudy Nappi. 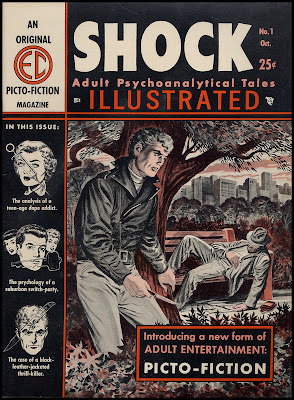 Shock Illustrated #3,Spring 1956. Cover art by Rudy Nappi. 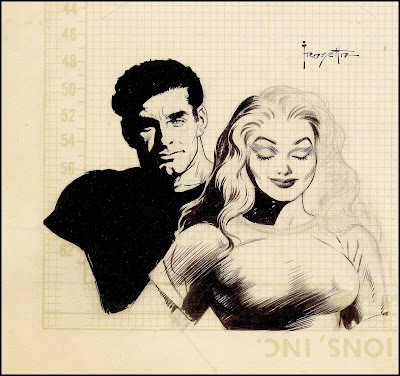 Frank Frazetta art from the unpublished fourth issue.